It took me a while to like the Alice and Justin characters and maybe it was the fault of the plot itself. I had trouble accepting the idea of an arranged marriage in the 21st century and I found the idea of Alice being from a “bad” family a little tired. It just wasn’t working for me. So I really struggled with the first part of this book. However, Justin’s transformation pulled me in and saved the story. He comes to realize after Alice crashes his Wedding that his life has been going in the wrong direction and quickly starts making changes. I was still frustrated with Alice’s character, I felt she really never believed she was “good enough” and was too bogged down in what the town thought of her. Despite these flaws, Justin and Alice romance was charming and I was glad to see to them both realize that life is so much simpler when you let yourself be happy. 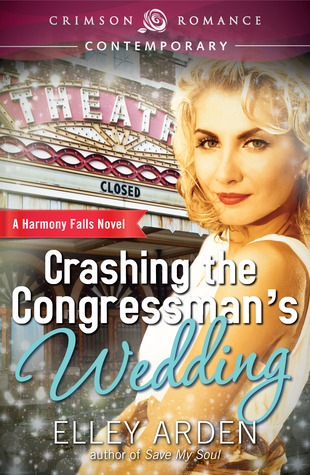 If you’re looking for a sweet romance about the one who got away, check out Crashing the Congressman’s Wedding.